ID: White with tan or brown markings. Branching arms that retract when the animal�s midsection is touched. 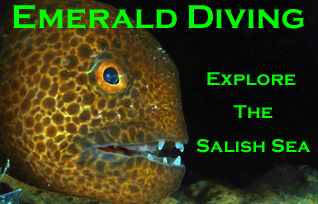 Comments: I only occasionally note the amazing basket star in the Cape Flattery area and San Juan Islands. 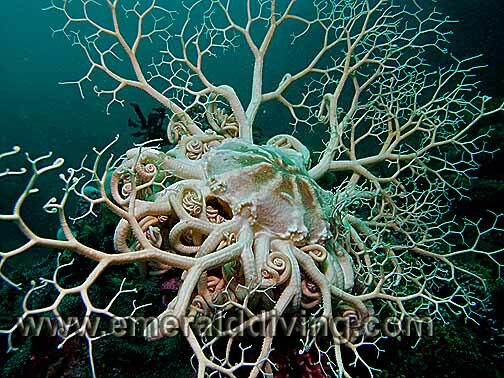 This most picturesque of all the seastar, the basket star extends its highly-branched arms into the current to capture food. ID: Five long, thin rays. Grey color with white or black banded arms . No lobes on disk between arms. Comments: I often overlook the unobtrusive little brittle star, only to realize that the bottom is crawling with thousands of them. ID: Five long, thin rays with protruding spines. Lobes between rays on pentagon shaped disk. Color and patterns vary. 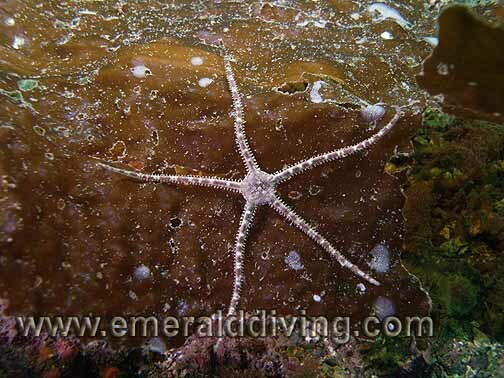 Comments: I do not often note this ornate seastar, although they are fairly abundant. I believe this seastar often hides in cracks and crevices amongst dense invertebrate colonies with only the ends of its arms extended to capture food. 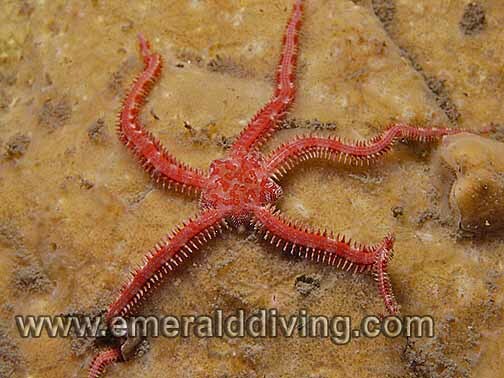 The painted brittle star is also referred to as daisy brittle star. ID: White with tan or brown markings. Branching arms. 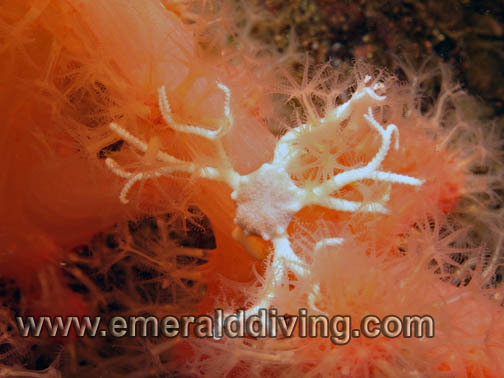 Comments: Invertebrates often serve an host to other invertebrates, as is the case of this juvenile basket star taking up residence in a colony of sea strawberries in Browning Pass.